This is happening on a huge scale while the average Gambian goes to bed hungry every night. It�s the sad truth of the �New Gambia�. The government and the factories claim they are creating jobs and this should be seen as development. The price of fishmeal have never been as high in history as it is today. The foreign run factories are making unbelieveble amounts of money. 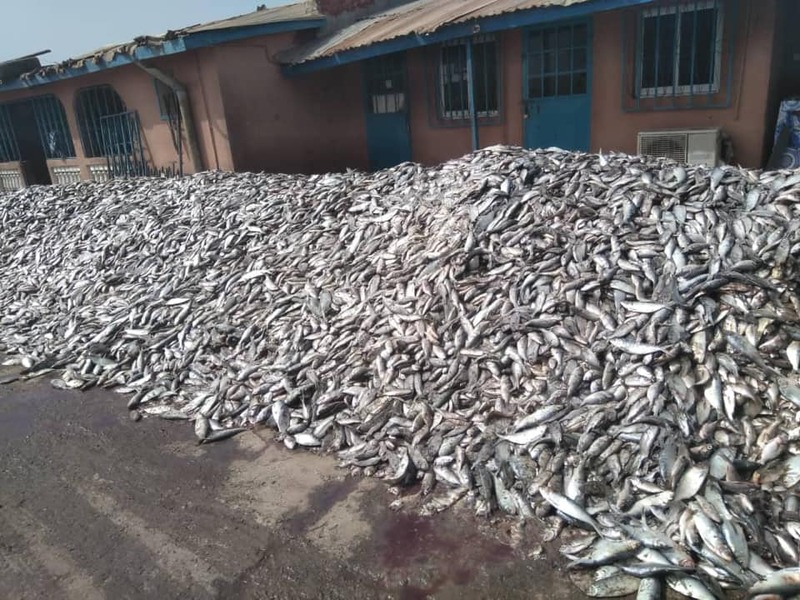 All of the processed fish is exported straight back to China. This fishmeal is used to feed pigs on China�s mega farms. What an eye opener, now we know for certain EXCATLY what product is produced and stored in tose gigantic tanks,I assume that this news has hit the headlines and ALL the Media Radio Stations etc.It will be of great interst to find out what the "powers that be" in Gambia deal with this.